Made to look like a train depot, the gallery specializes in hand cut crystal and hand cut glass, plus an assortment of prints, jewelry, gifts, and nautical decor items. 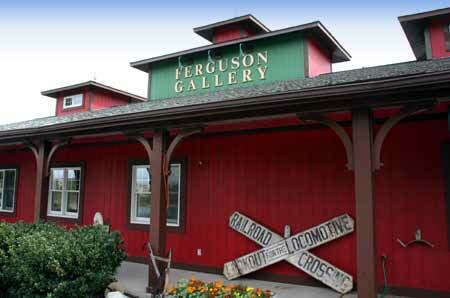 Located between Marblehead and Port Clinton, the showroom is filled with items, many one-of-a-kind and many others that are Ferguson Originals sold exclusively at the Gallery. 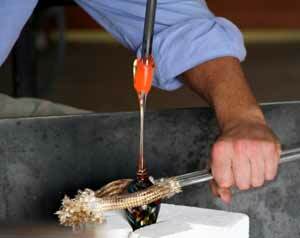 At different times you can even watch Master Glass Cutter, Cary S. Ferguson at work in his studio. You can also see from a safe distance the new glass blowing operation at the side of the gallery where Cary or his son may be creating hand blown glass.